Big (Beer) Leaguer: At the crossroads – To Margueritaville or Beerton? 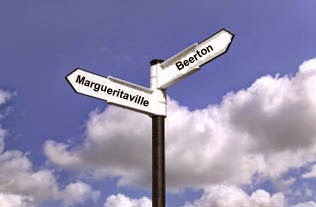 At the crossroads – To Margueritaville or Beerton? 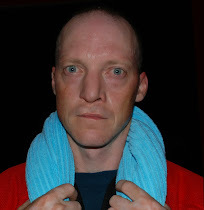 As I dealt with life without my weekly hockey game, I felt like I was at a crossroads and neither of the two choices before me were palatable. The first choice was to keep putting myself through the physical rigours that are involved in competing against 20-somethings as a 44-year-old. The upside of this option was that it contains beer. The second choice was to retire to a leisure life of golf and pinnocle, lubricated by some sort of out-to-pasture beverage like pina coladas or margueritas or something. Those were my options as I saw them – either waste away in Margueritaville, as the song says, or toil away in Beerton, as it were.